The landscape of commercial real estate as we know it is being transformed as an increasing number of new tech companies make their way onto the scene. With the emergence of these companies comes an entire arsenal of new products and services that are changing the way that commercial real estate brokers as well as their clients conduct business. REA is just one of the tech companies that have made the jobs of commercial real estate companies much easier. Extending the role of the contact manager, REA works by linking property information to sellers, tenants, agents, and property owner contact records. 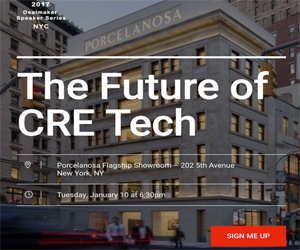 One of the elements that set REA apart from many commercial real estate tech companies entering the industry is that they have actually been in the industry for more than three decades. The latest update to the REA platform includes a deal room, more information for sales comparables, a cloud interface, and commission tracking for projects. View the Space is another company that is rapidly changing the flow of commercial real estate deals. Featuring a single platform that targets large property owners, VTS helps commercial real estate professionals to track the flow of deals, collaborate, and manage space in a more efficient manner. Currently, VTS reports that they host more than one billion square feet of office space and manage more than 5,000 brokers and owners. VTS offers a single platform that gives users the ability to access all of the assets in their portfolios from any location and benefit from real-time access to their full leasing pipeline. As a result, users are also able to identify trends and understand what is actually driving market demand. More and more, commercial real estate professionals are able to take advantage of the ability to sign documents digitally, thus presenting the opportunity to close transactions faster. Among the companies now offering digital signing is Docusign. With this app, commercial real estate professionals are able to upload important documents and then transmit it to clients and colleagues for review and signature. Along with collecting signatures, this app ensures security by actually encrypting the data and then storing it online. Commercial real estate brokers, clients, and investors are increasingly searching for ways to make space more agile and liquid. Liquidspace was designed specifically to fill that need. Providing the opportunity for users to locate and then book office and meeting space in specific time increments, this app is quickly gaining ground. Currently, the app boasts thousands of different types of workspaces that can be rented by the hour, day, or even longer and has a presence in hundreds of different cities around the world. New to the industry, CRE Tracker was just introduced last year, but this platform is also making it easier to bring commercial real estate deals together by integrating information monitoring techniques in real time. With the availability of customized platforms, users can take advantage of internal tracking, pipeline reporting, and contact management.